Spoilt for choice in childrens activities, I ventured over to Stratford, London to visit the Discover centre. It’s a children’s story centre that is quite literally jam-packed with children sensory experiences. 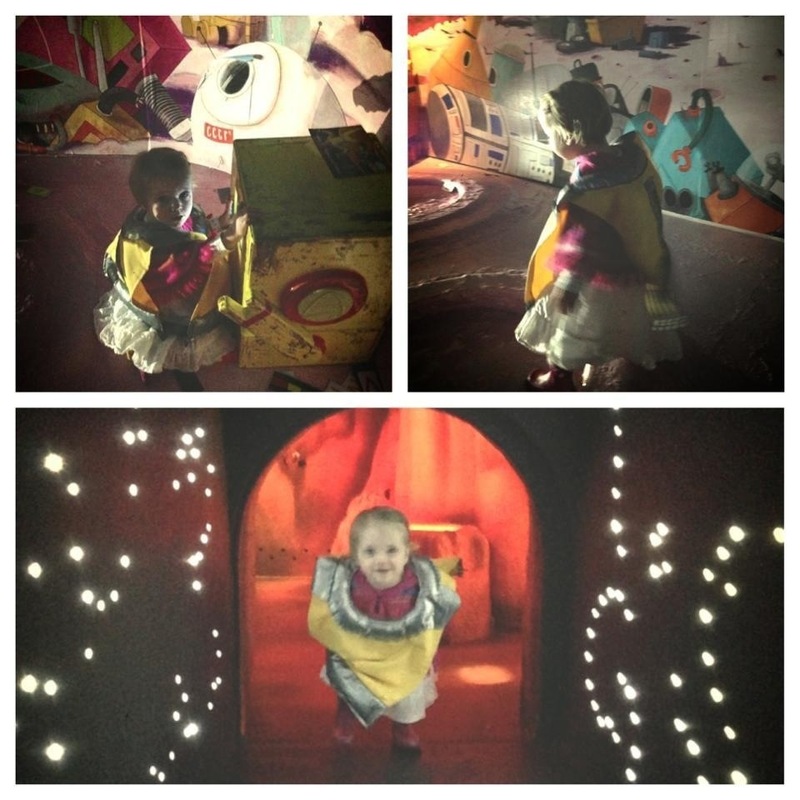 Including reading, dress up and craft nooks all through the centre, slide, easy to climb stair cases, hidden caves full of sensory experiences, a story telling room complete with interactive laser lights… I could go on.. By far the area Annabel was most excited about was a journey to space centre in the lower floor. This contained reading areas, fairy light tunnels, moon crater flooring, digital story areas, space suit dress ups, and again I could go on. I could just see Annabel’s Imagination going wild, while Lachlan was in amazement of the sights and sounds. Not too long before he can join in the activities with his big sister. We lasted just over an hour there before Annabel started to get a little overstimulated meanwhile Lachlan was fast asleep in the baby carrier after a good dose of over-stimulation. That was a brilliant day! Same time next week? This entry was posted in Ramblings and tagged Baby, discover, London, overload, play, sensory, stimulation, Stratford, Toddler by whysamiam. Bookmark the permalink.